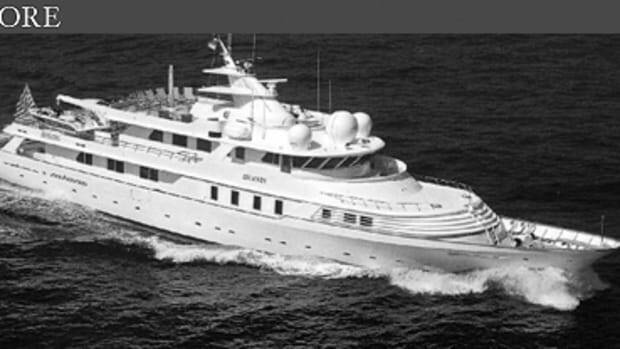 The Index states that 25,000 crew are needed to staff the megayachts afloat, but there are only 15,000 currently working. 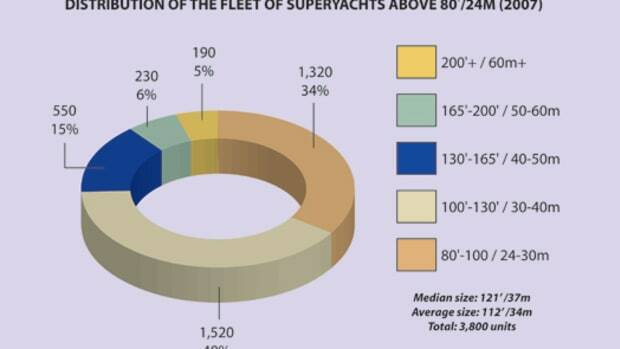 With a shortage of 10,000 crew, are some of these yachts operating unsafely? That&apos;s a bit of a shortcut, because not all of the yachts have fully staffed crew. 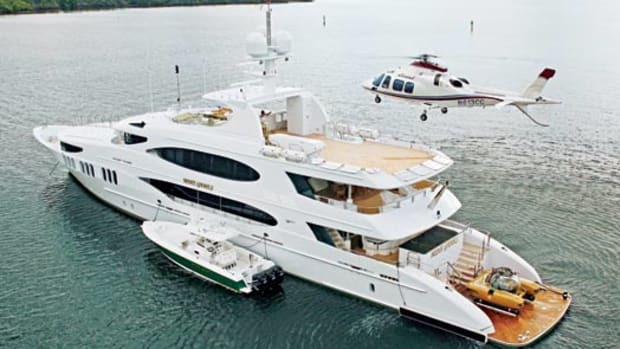 Some operate part-time, and one crew can be split between two or three yachts and still operate safely. In an ideal world, we would have 25,000 qualified crew. The need right now is probably for about 20,000, and we have 15,000. To try to alleviate this problem, we helped to found the newly renamed Nicholas P. Baker Superyacht Skills Foundation with Edmiston & Company, Burgess Yachts, and Fraser Yachts Worldwide. 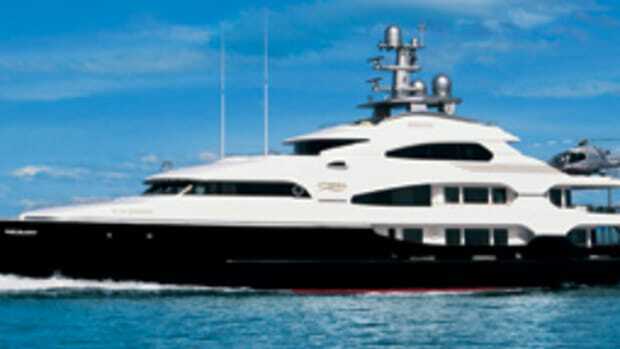 The idea is to promote yachting as a career. The Index states that before 2000, owners kept their yachts an average of five years. As of 2007, that average is three years. Why are owners selling sooner? They seem to have more money to spend on bigger yachts. Technology is also developing faster. When you build a yacht now, you know that within three years, there will be technology for better navigation, comfort, and entertainment. So in a way the older yachts are aging faster, and to be at the top, you have to move faster. More than half the market deals in euros, according to the Index. At the same time, U.S. builders have seen a surge of business in part because of the weak dollar. Do you see American yards staying strong? 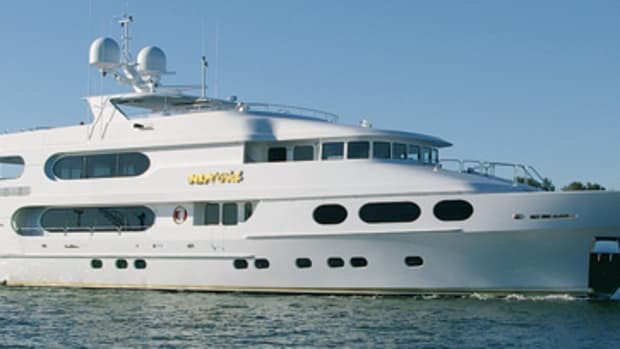 American buyers might look differently at buying a Feadship in Holland because of the currency exchange rate, and there&apos;s good opportunity right now for some of the American builders to tap into the European market. After the November presidential elections in the United States, if the dollar regains strength, these opportunities will be limited. If it takes the U.S. builders ten years to get strong in the European market, but within five years the euro is back to being equivalent to the dollar, it&apos;s difficult to say whether the surge in U.S.-built yachts will continue. The Index states that more than 25 percent of megayachts are being built in locations including Turkey, Taiwan, China, Brazil, Japan, and the UAE. 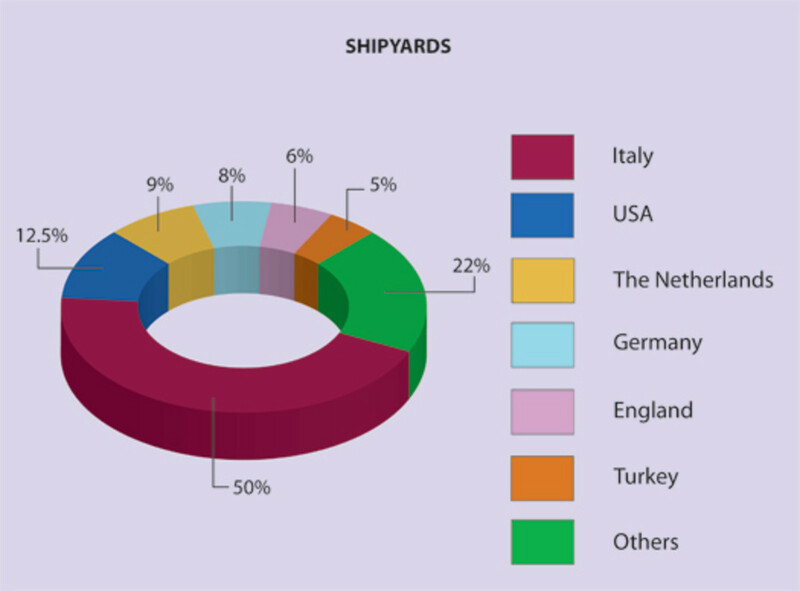 How do you see these shipyards affecting leading builders in Italy, the United States, Holland, and Germany? It&apos;s more a question of the shipyards being able to supply the current level of demand. Some of these shipyards—and I&apos;m thinking especially of Turkey—offer good prices and quality craftsmanship at a time when people have to wait until 2010 or 2011 to start building in Europe. People would rather get started next year. It&apos;s a natural law of business. If you&apos;re building to capacity in the traditional countries, new players will take some of the market share. And existing companies will branch out. Look at Perini Navi. They&apos;re building in Italy, but some of their hulls come from Turkey. Only those who haven&apos;t considered the growing demand may be left behind—although, given the level of investment such expansion requires, it is not surprising that many yards have made cautious moves. After all, no one can predict what the market will be like in ten to 15 years. The Index states that just 200 of the 830 megayachts available for charter performed half of the 2,750 weeks booked in 2007. 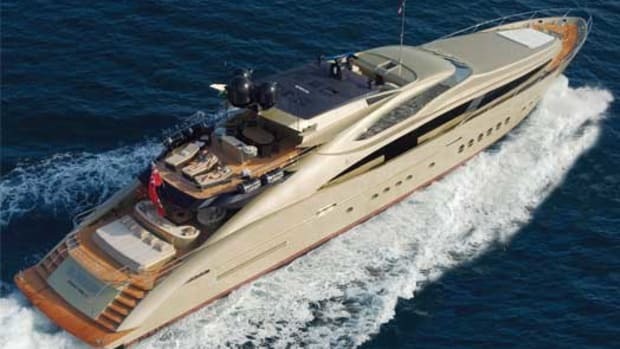 This means high-performing yachts each did about eight weeks of charter, not the 12 weeks typically deemed the gold standard. Why has a number off by 30 percent been quoted for so long? It became part of the consciousness. 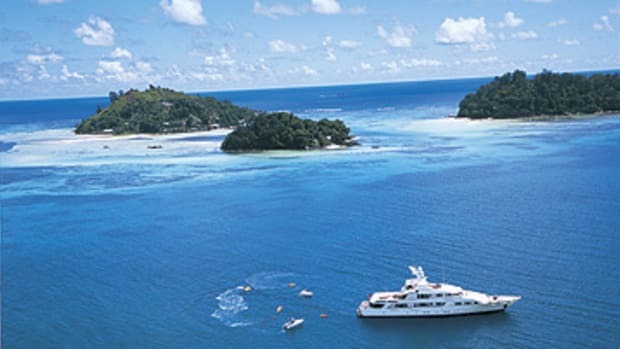 Twelve weeks is the number that every charter company is trying to achieve because when you calculate operational costs, you know that 12 weeks of charter achieves value for the owner. There was never enough information to objectively evaluate that standard. 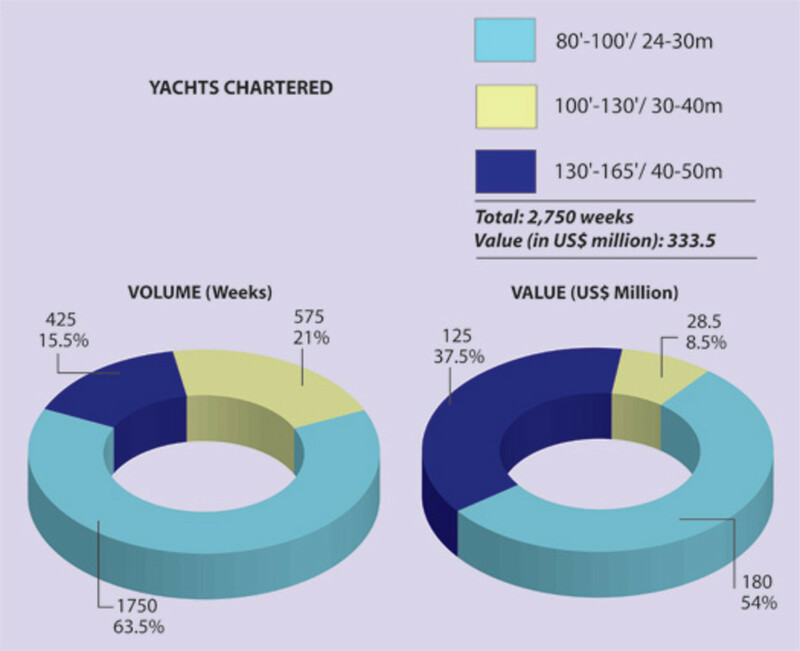 Now, we know that only the top 50 charter yachts did more than 12.5 weeks in 2007. About 70 percent of charters, according to the Index, are in the Mediterranean, with 24 percent in the Caribbean, Florida/Bahamas, and New England. Yet 30 percent of charter clients are American. Is the industry trying to further develop U.S. destinations? Alternative destinations are a chicken-and-egg story. Owners know there is demand in the Med, so that&apos;s where they position their yachts. Yet unless we have yachts positioned in other destinations, it&apos;s difficult to market them. I think the best opportunity in this area is for the smaller yachts. At the moment, there are fewer charters of 80- to 100-foot yachts, but there are more yachts available in that size range overall. Demand is lower than supply, so they could build these destinations. 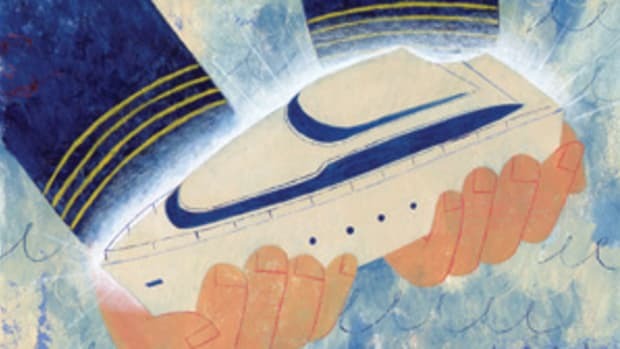 The Index states that at least one-third of charter clients buy a yacht. Why have builders and management companies failed to collectively market the idea of charter? As long as business is good, no one wants to share the cost of doing this. Industry groups like MYBA can have an impact in down times, but at the moment, there&apos;s no need for it. Do you see any trends in the data for 2008? A lot more yachts are for sale right now in the medium-size range than at this time last year. It&apos;s hard to say exactly what the reasons are, but at least we now know what the data say. Have any other companies offered to contribute to next year&apos;s Index? Apart from International Yacht Collection asking to see a copy, we haven&apos;t heard from any companies yet. But everyone is busy with the Med charter season and with boat shows coming up. Camper & Nicholsons was the first to release this, and other companies may not want to participate because our logo is on it. But it would help if everyone worked together. It would even help if everyone released their data individually, properly analyzed.